You’re driving along the open road. Your windows are down, your FM radio blares AC/DC at the highest volume, when all of a sudden, right in the middle of the guitar solo, you hear the sleep-inducing sounds of NPR. Don’t worry, you’re not going crazy. You’ve just encountered drift, an unwanted offset of an oscillator’s ideal frequency. Drift often points to negative frequency stability. It’s not a big deal when it comes to radio broadcasts, but it plays a critical role in radar and satellite accuracy, where there’s little room for error. But what affects stability in the first place? Many factors have a hand in oscillator stability. We’ve picked out the top three culprits. We’re going to show you how they affect stability and what you can do to control them. The more often a circuit is used, the more heat builds up. This upswing in temperature changes the parameter values of resistors, capacitors, and inductors. As a result, they slow down, and the frequency of the oscillator slows down with them. Crystal oscillators have an even bigger impact on frequency stability. The cut of the crystal affects how it reacts to temperature. Tuning fork crystals, like the kind used in digital watches, operate best at room temperature but lose frequency when it gets warmer or colder. To help regulate temperature, invest in TCXO and OCXO oscillators. TCXO, or Temperature Compensated, oscillators adjust to climate conditions, providing greater frequency accuracy over time. OCXO, or Oven-Controlled, oscillators keep crystals at a consistent elevated temperature, allowing them to last longer. Ever had a migraine or a ringing in your ears? Made it hard for you to think, didn’t it? The same thing happens in oscillators. Quartz, the backbone of most crystal oscillators, vibrates when applied with a voltage. This vibration creates a voltage that causes short-term phase fluctuations in the signal, known as phase noise. 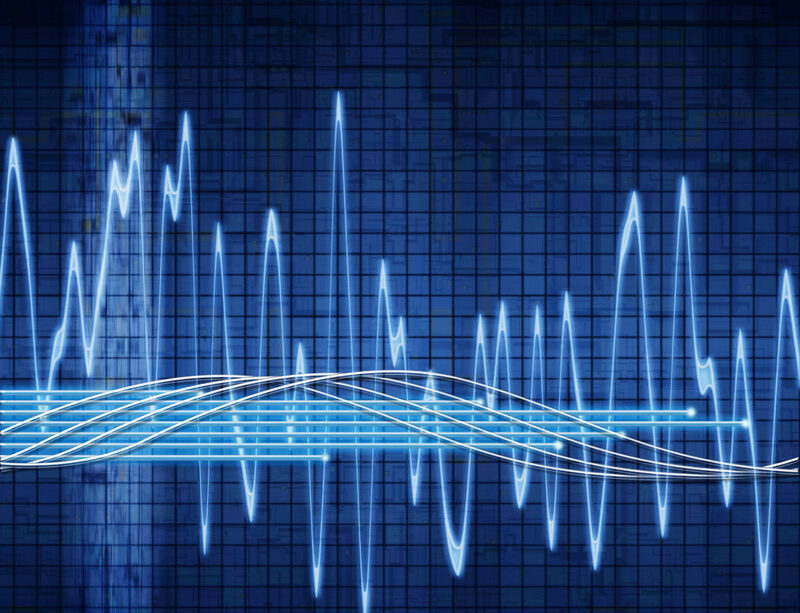 Phase noise disrupts an oscillator’s stability and increases based on the magnitude of the vibration. Fortunately, you can solve this problem easily. Like in temperature control, the cut of your crystal matters. After you select the right size, screen the crystal for vibration sensitivity. If it’s high, use a combination of mechanical isolation and electrical compensation to reduce phase noise. You need to have the right amount of juice. That’s not just good health advice either. Oscillators need the right amount of power to produce a consistent frequency. Too much or too little and you run into the drift we mentioned earlier. The simple solution? Employ a regulated power supply. Regulated power supplies manage voltage output through regulators in the circuit. These regulators maintain a constant voltage, no matter what current the oscillator consumes, providing greater stability. No oscillator will ever be 100% consistent. But you can get pretty close. The best way to maintain your oscillator’s stability is to get the design right from the start. That’s where we come in. At QVS Tech, we have the products and the know-how to keep your circuits running. Check out our latest wares and contact us today for a free quote.